Rosalind Bloom is a graduate of the Pennsylvania Academy of the Fine Arts, and has an MA in Art History from Columbia University. She has been a teacher, writer, and resident at the Virginia Center for the Creative Arts and at the Ucross Foundation in Wyoming. She is a founding member of Assemblage Artists Collective and has been an active participant in the Da Vinci Art Alliance for the last several years. Rosalind Bloom has exhibited regularly in many one person and group shows in a variety of venues. Her work is found in both public and private collections, and has appeared in several publications. 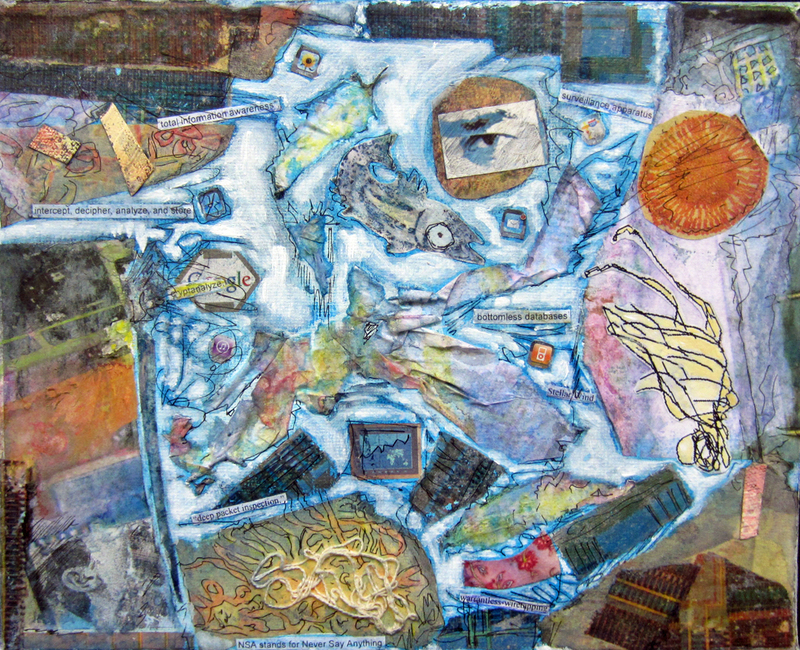 Mixed media and collage are employed to create fanciful abstract/thematic images.